You are here: Home / SEO / Link Building / How to Find Bloggers for Guest Blogging? Finally, you have set up your blog and now you are on a hunt for guest bloggers. Fortunately, you can find a community of millions of guest bloggers who can contribute to your blog which is quite helpful to build your authority when you are starting out as a startup. Finding the right guest bloggers for your business is a bit tricky as you have to select only a few competent writers in a pool of millions of bloggers. Naturally, every blogger swear by their writing skills and you never know their validity until you work with them. Guest bloggers have a thing for fame and popularity. Unless your blog has a strong following, no ambitious blogger would want to work with you. So, if you intend to have A-rated guest bloggers in your pocket, you first need to build a strong community of people around your blog – thought leaders, opinion makers and commentators. These people are essential to lend credibility to your blog and attract talented guest bloggers wanting to earn a name in new media circles. Start by commenting on blogs of fellow bloggers, follow industry experts on social media and engage commentators on your blog. Once you successfully build the mass influence with your blogging, you will be able to get guest writers for your blog. This tip is particularly helpful for bloggers who have that box-like “Guest Blogging Guidelines” section on a blog that goes unnoticed most of the time. 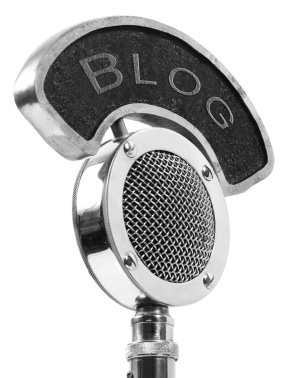 Guest blogging is a technical job that requires clarity of goals. As you are inviting guest bloggers to write on your blog, you first need to educate them about what your blog is all about and what objectives you want to achieve with it and a dedicate page will serve this purpose. Once you create the page, you need to make sure that everything is succinctly laid out in the instruction area. Word Count – How much article length would be sufficient? Topics – What topics would you publish? Permitted Links – How many inbound links will you allow? Styling – What type of tone and layout will be acceptable? For startups, getting competent guest bloggers is the first step. But nothing comes for free and even quality blogging come with a tag price attached. So, if you are selective about quality of content on your blog, then offering money can attract gifted writers to your blog. You can give them a profitable offer considering page rank and authority of your blog. Guest Crew is a platform where you can find skilled guest bloggers and advertisers seeking blog owners to make money. So, you have a good chance of finding some of the best talents to write for your blog. Want to grab talented writers? Throw them an offer they can’t refuse. Offering incentives help you get attention of skilled writers who want to earn a reputation in blogging. By offering incentives, you’ll likely find competent writers who can contribute to your blog and grow your readership in no time. For example, you can allow them to use a backlink in ‘Author Bio’ or offer prize money for the most-liked article. Similarly, you can give them an opportunity to earn money by permitting use of AdSense codes in their post. So, you will get quality articles and they will earn money in the process. If you are in the lookout for experienced and established writers, then luckily you can find plenty of veteran bloggers on a number of guest blogging communities. Guestr is one such community where you can engage with professional and experienced bloggers and invite them to write on your blog. The platform offers a vast pool of guest bloggers who pitch topic ideas for a niche industry. So, you have a chance to find a prolific writer in your area of field. Follow the above-mentioned 5 tips and you can find right guest bloggers to give a boost to your blogging which is an essential part of your online presence. A funny loving girl from US still pursuing her “American Dream”, Skornia Alison takes great interest in jogging, yoga and blogging. She’s also a perfectionist and can’t stand anything that reeks mediocrity. Currently, she’s working with a start that offers Essay writing online.